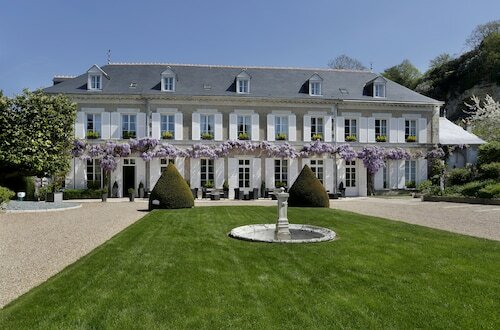 Situated in Poce-sur-Cisse, this hotel is within 6 mi (10 km) of St. Denis Church, Château-Gaillard, and Clos Lucé Castle. Mini-Chateaux Park and Pagoda of Chanteloup are also within 6 mi (10 km). Situated in Poce-sur-Cisse, this historic property is within 6 mi (10 km) of St. Denis Church, Château-Gaillard, and Clos Lucé Castle. Mini-Chateaux Park and Pagoda of Chanteloup are also within 6 mi (10 km). Located in Tours City Centre, this hotel is within a 10-minute walk of Vinci International Convention Centre and Musee des Beaux-Arts. Musee du Compagnonnage and University of Tours are also within 15 minutes. Tours Station is only a 3-minute walk. 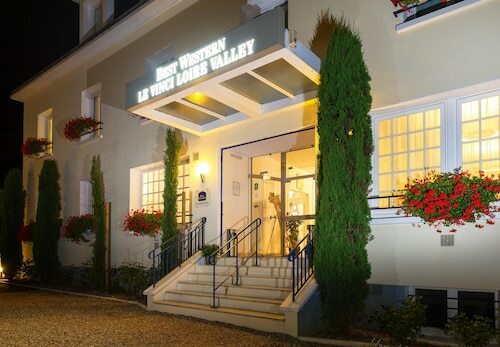 Situated in Tours, this hotel is within a 15-minute walk of Vinci International Convention Centre, Musee des Beaux-Arts, and Tours Cathedral. St. Julien Church and Musee du Compagnonnage are also within 1 mi (2 km). Tours Station is 6 minutes by foot and St Pierre des Corps Station is 27 minutes. How Much is a Hotel Room in Poce-sur-Cisse? 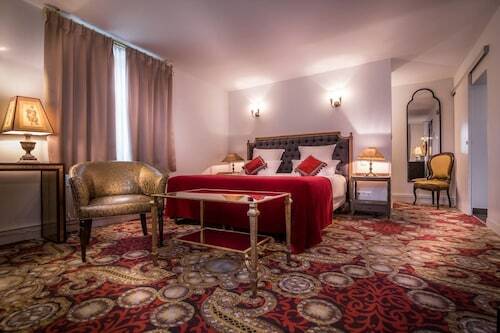 Hotels in Poce-sur-Cisse start at $34 per night. Prices and availability subject to change. Additional terms may apply. If you are planning a trip to Indre-et-Loire and are searching for the right place to rest and relax in Poce-sur-Cisse, you'll find an outstanding range of options. Currently you can pick and choose from approximately 18 places to rest and relax within a 6-mile (10-kilometer) radius of Poce-sur-Cisse's heart which are listed as part of Travelocity's booking portal. If you like to find Travelocity-listed hotels just a stone's throw from the fascinating center of Poce-sur-Cisse, consider the Auberge de la Ramberge. The Château de Noizay is located 5 miles (8 kilometers) from the downtown area of Poce-sur-Cisse. Alternatively, the Le Choiseul is positioned 2 miles (3 kilometers) away. The Château de la Bourdaisière and the Château de Pray are some other Travelocity-listed places to book accommodation around Poce-sur-Cisse. Making plans to explore a bit out of the center? Centre - Loire Valley is home to many impressive attractions. Check out Centre - Loire Valley's castles and enjoy the area's rural landscapes and forests. Popular things to do in this particular region of France include cycling. Tours is 14 miles (23 kilometers) to the west of Poce-sur-Cisse and features Tours Cathedral and Vinci International Convention Centre. Travelocity-listed Tours accommodation options include the Clarion Hotel Château Belmont Tours and Oceania L'Univers Tours. Alternatively, you could consider staying at Loches, 20 miles (36 kilometers) to the south of Poce-sur-Cisse, where you can pick from the Pierre & Vacances Residence Le Moulin des Cordeliers Loches and Hotel Luccotel. The Chateau de Loches and Musee Lansyer are a couple of the more frequented places to discover when you're in Loches. Ensure yourself a fix of sport by making a trip to Circuit de la Sarthe, situated 50 miles (81 kilometers) to the northwest of Poce-sur-Cisse. 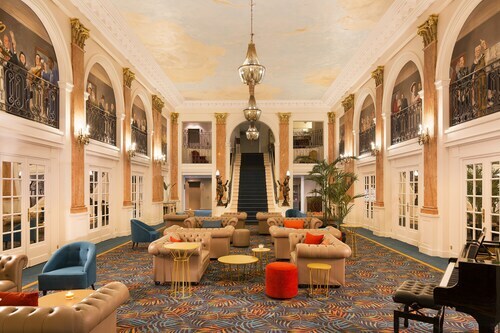 Travelocity customers that like the thought of booking a bed in the area, book in the Hôtel Concordia Le Mans Centre gare or Mercure Le Mans Centre. Tours - Loire Valley Airport is a major entry point for flying in and out of Poce-sur-Cisse. It can be found 13 miles (20 kilometers) from the city center. For travelers who have plans to stay in Travelocity-listed accommodation nearby, have a look at Mercure Tours Nord or Alliance Hotel Tours Centre. The hotel is still being renovated, just finishing the large lobby .We knew about it thanks to previous reviews. It is located a block away from the train station and about two blocks away from the tourist office where you can take tours to the castles. 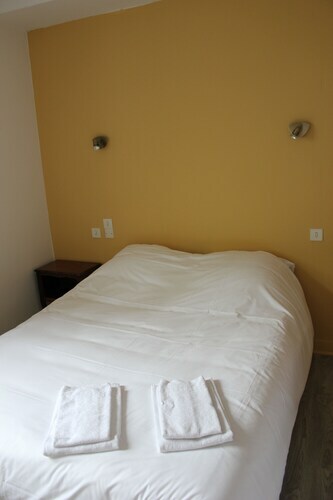 The rooms are very clean and spacious, not fancy but OK. They are supposed to be done with renovation by mid May. Good hotel for the price. A small, charming hotel in a great location with parking and an intimate setting. The staff was very helpful in arranging a rental car. It's an older building in very good condition and it was like staying with friends.